← E-cigs Versus Smoking: How Do They Compare? In the decade or so since they were first introduced, an estimated 2.6 million adults in the UK have used an electronic cigarette. As their popularity has surged, so too has the volume of research that seeks to improve our collective understanding of these revolutionary devices. Public Health England, for example, recently published a report that concluded electronic cigarettes are 95% less harmful than tobacco, and could be a ‘game changer’ when it comes to persuading people to quit smoking. Faced with such information, it is now impossible to argue that electronic cigarettes are not an effective device. However, these statistics don’t answer the question: why do e-cigarettes work? So, let’s take a look at the five main reasons why they help people become ex-smokers. Everyone knows that the nicotine is an addictive psychoactive drug. But fewer people actually realise that most smokers are also bio-behaviourally addicted to smoking. Put simply, this means that a combination of emotional factors that involve both the mind and body also keep smokers addicted to cigarettes. This means in addition to a physical addiction to nicotine, most smokers are addicted to the act of smoking. Or, in other words, they are also addicted to the feel and the routine of smoking. Because e-cigarettes work in a similar way to tobacco cigarettes, they are able to fit seamlessly into the daily routine of smokers. And this is a huge factor behind the success of electronic cigarettes. Nicotine is the addictive element within tobacco cigarettes that keeps smokers hooked. Yet it is not the element within tobacco that ends the life of two out of every three smokers early. That unwanted honour goes to the vast combination of carcinogens that burning tobacco creates. In actual fact, nicotine is relatively harmless and is no worse for you than a regular cup of coffee. For this reason, most smokers are not in a rush to quit nicotine – they just want to find a safer way of enjoying a hit then smoking tobacco. 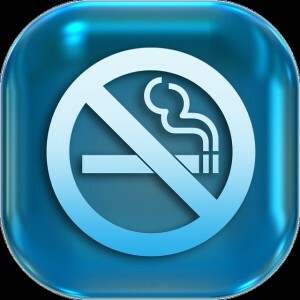 By delivering nicotine into the lungs via a vapour that does not contain tobacco, electronic cigarettes, therefore, provide a safe way to enjoy a hit that many smokers have been craving. Stating that electronic cigarettes are 95% safer than traditional cigarettes is a striking statistic. However, it does little to explain the physical benefits to health that making the switch to e-cigarettes can provide. For instance, after transitioning to electronic cigarettes, many people find their smoker’s cough starts to dramatically improve. Plus, because e-cigarettes do not contain the huge number of toxins found in tobacco smoke, e-cigarettes can also help improve the poor lung capacity and circulation of long-term smokers. For this reason, even just a short time after making the switch, many smokers start to feel a drastic improvement in their overall physical health. To read more about how electronic cigarettes make people feel a lot healthier, check out our guide: To Vape or Not To Vape? Investigating the Benefits of Electronic Cigarettes. In the UK, a packet of premium brand cigarettes currently costs around £8.99. If you smoke 20 cigarettes a day, that’s just under £63 a week you spend on cigarettes. Over the course of a month and a year, that sum increases to around £279 and £3,285 respectively. By anyone’s measure, that’s a lot of money to spend on something that could kill you. By comparison, e-cigarettes are a lot cheaper. For instance, our electronic cigarette kits start from just £13.99. For that sum you get an e-cigarette, charger, and three refill cartridges that collectively contain the same amount of nicotine found in 100 cigarettes. After that, you can buy refill cartridges in bulk from us for as little as £1.15 each. When you consider that each refill cartridge we sell contains as much nicotine as 20 cigarettes, you begin to realise the potential savings you can make by switching to e-cigs are huge. For many people new to electronic cigarettes, vaping becomes a hobby. For example, there are different flavours to enjoy and e-cig strengths to try. What’s more, because so many other people are making the switch, there’s a massive vaping community you can share and enjoy the whole experience with. To make the switch from traditional cigarettes to e-cigs as simple as possible, our electronic starter kits include everything you need to start vaping right away. However, if you need more information before committing to the switch, take a look at our guide: Everything a Beginner Needs To Know About Electronic Cigarettes.